Squirrelcart PHP Shopping Cart software is a fully customizable, feature-rich PHP shopping cart, designed with both web designers and web novices in mind. If you are a web novice, you will find it easy to use. 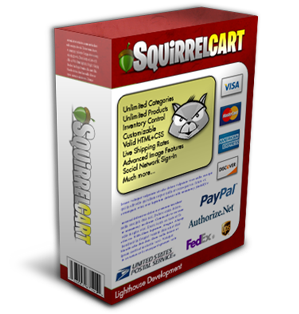 Squirrelcart generates the HTML for your entire store, without you having to be a web guru. Make your store look unique using the built-in style options, or an add-on theme. 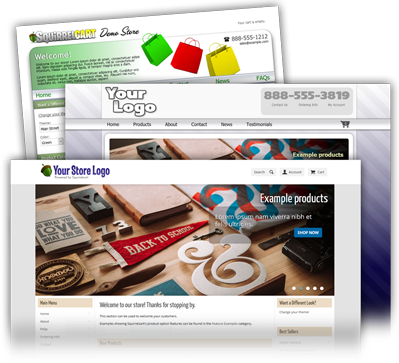 If you have web design skills, you can make your store match any design you can come up with, by modifying our templates and CSS files. You don't have to be a PHP developer to use our software but if you are, you have full access to our unencrypted source code. Can't decide? Compare versions here. If you are looking for the best shopping cart software on the market, you've come to the right place. There are many shopping cart applications out there, and making a choice between them can be overwhelming. Comparing features of e-commerce applications can be tiring. You can put all that behind you, as we are confident that we can help you succeed. We have all the features you would expect, along with many innovative additions you won't find in other carts. 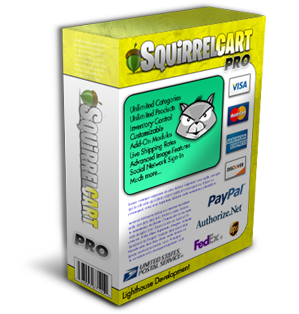 We've spent the last 17 years packing	Squirrelcart with an incredible number of features, and are constantly adding new ones. We are committed to providing excellent support. If you are not happy, it hurts our business. If you are happy, you'll spread the word. Our support is not limited by a point based system like some of our competitors. Ask as many questions as you like, and they'll get answered. The majority of support issues are handled by the owner and developer of Squirrelcart. When you request support, you are dealing with someone that knows Squirrelcart inside and out. Squirrelcart is proud to be made and supported completely in the U.S.A. While many of our customers are in the U.S. and Canada,	we have many happy customers worldwide and offer features with them in mind. This includes support for VAT in the European Union, Australia Post in Australia, etc.. The price of some of our competitors software can make your wallet cringe. They are trying to equate higher prices with higher quality but you are smarter than that. You don't need to spend a lot of money to get a high quality product. You shouldn't have to get a second job or dip into Suzie's college fund to pay for your shopping cart. We price our software lower than comparable carts on purpose,	to save you money. We offer reasonable pricing with no recurring charges. Live Shipping Rates, Label Creation, Address Validation, Tracking, and More! Squirrelcart is template driven, giving you full control over the HTML and CSS sent to the browser. Our built-in theme comes in countless style variations. Not a web designer? Use one of our themes and tweak it using our control panel to suit your needs. We sell additional themes as well. Have some design skills? 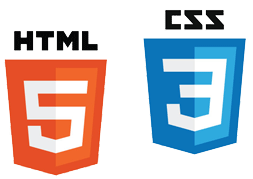 Add your own HTML and CSS to ours and the sky is the limit! Want even more control? Our PHP source code is not encrypted. If you are a PHP developer, you can get under the hood and modify our code to meet your needs. Squirrelcart is written with valid HTML and valid CSS. You won't have to spend time fixing our code, giving you more time to work on your own. Squirrelcart supports over 60 payment systems. Accept credit cards using a payment gateway, PayPal, eCheck, money order, and purchase order. For a complete list of supported payment gateways, click here.